Psalms - The U2 fans out there will know that the band released a song called "40" in 1983 inspired by Psalm 40. The band took most of the lyrics for this song straight from the early verses of this Psalm - and I quote here from the song, not the Psalm per se - "I waited patiently for the Lord, He inclined and heard my cry. He brought me up out of the pit; Out of the miry clay. He set my feet upon a rock; And made my footsteps firm. Many will see; Many will see and hear." The song also could have also been called "6" because the refrain is from Psalm 6 verse 3: "How long, O LORD, how long?" 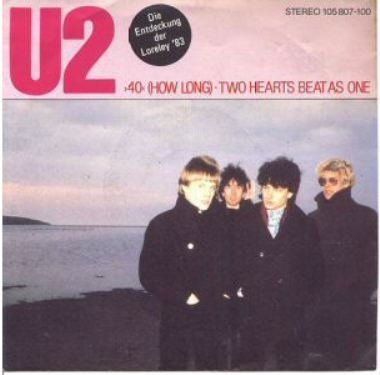 A quote from Bono on the song is this: "'40' became the closing song at U2 shows and on hundreds of occasions, literally hundreds of thousands of people of every size and shape t-shirt have shouted back the refrain pinched from 'Psalm 6': 'How long to sing this song.' I thought of it as a nagging question - pulling at the hem of an invisible deity whose presence we glimpse only when we act in love. How long...hunger? How long...hatred? How long until creation grows up and the chaos of its precocious adolescence has been discarded? I thought it odd that the vocalising of such questions could bring such comfort; to me too." Has anyone heard U2 play "40" in concert before? I did twice - once back on the Joshua Tree tour way back in 1987 and once a couple years ago on the Vertigo tour. It's a beautiful song - written really by David! Psalm 40:5 stood out to me today. “…Your plans for us are too numerous to list. You have no equal. If I tried to recite all your wonderful deeds, I would never come to the end of them.” How true this verse is to all of us. God’s plans for each and every one of us ARE much too numerous to list in any form. If you sit in a quite place and meditate on how many wonderful deeds and wonderful things have happened to you, you can just keep going on and on and on. And if you include the wonderful things around you, and also include your family and friends, I’m sure that the list would take longer than our lifetime to create. God has done so many wonderful deeds in my life and I’m sure in yours too! John 6:46 also stood out to me. “46 After telling everyone good-bye, he went up into the hills by himself to pray.” Throughout the Bible we read about Jesus going off by himself to pray to the father. There is definitely something special about having a quite place where you can be alone with God in prayer. I am very fortunate that I have such a place. About a mile from my house there is a place that we call Indian Tower. It is a tower that was built on the highest point in the town and was used during the Indian wars as a look out for attacks. It is an open tower with a spiral staircase in the center. From the top you can see the entire valley for miles in all directions. What a beautiful sight and what a wonderful place to be alone with God. I go there often when I need that alone time. It not only gives me a place to be alone with God, but being able to see for miles in all directions also puts life in perspective, reassuring me that God is in control. What do we know? This Psalm is written to be sung in public worship, and it is written by David. But who is the singer? 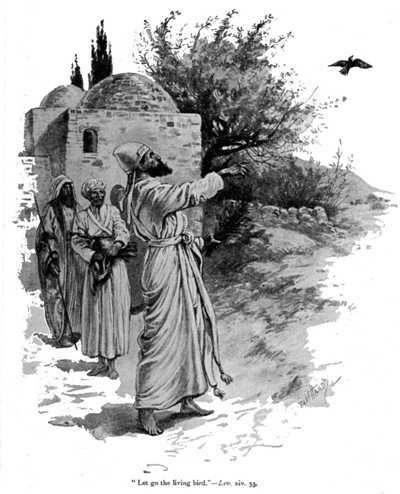 Based on Hebrews 10, the singer is Jesus Christ. The Holy spirit was writing through David putting the words of Jesus Christ to this "Song of Delieverance". What is Christ singing about? Jesus trusted in the Father - he waited patiently in the grave, and ultimately God heard Jesus' cry (for salvation/resurrection). Verse 2: Jesus is resurrected. Verse 3: God puts a song in Jesus' mouth in Praise to God. God does it - we do not do it on our own. Even after salvation it is God who does works through us. Blessed - Hebrew for blessed or HAPPY. there is great Joy in trusting in the Lord, for we will finally fulfill that NEED we have of being connected to the Creator. We do not look to the proud (who have rejected God). In verse 6 we step out of time into eternity. To the words Jesus spoke in heaven before He came to earth. Jesus continues with a commitment to obedience, a desire to surrender his heart and will completely to his Father. "Sacrifice and offering you did not desire,.."
It says that this was historical reality, but God never really wanted it. It says these sacrifices were "not required" and "not desired." The blood of lambs and bulls and goats was not what God was after. Jesus understood that God gave these sacrifices as an object lesson. What God was after was a restoration of the relationship between God and man. The sacrifices symbolized what Jesus was coming to do, and pointed out the needs of man towards their God. "but my ears you have pierced" - whether this was symbolic of a bond-servant who lovingly wanted to stay and serve his master (by having his ear pierced), or Jesus having his ears opened to be able to hear and obey God on earth - the idea here is one of submission. it is written about me in the scroll." Like Isaiah, and unlike Moses originally in Midian - Jesus says - Here I am - I will do it - I will do what has been decided before time began. Jesus came to make himself completely available to God, voluntarily without any external pressure. It happened because he had internalized God's Law-ultimate reality, the greatest good revealed in the Scriptures. It had been written on his heart, and it controlled everything he said and did. Jesus gave us the example. Is any Christian, anyone who has accepted Jesus as His LORD and Savior, to do any less? We need to go back to Psalm 25 (first twelkve verses) - and develop the heart like David that is exemplified in Christ. Trust, be humble, submit, and be in reverence/awe of God. The heart that Jesus exemplified perfectly. Can anyone deny that this is what Jesus did? So hundreds of years before Christ came - David describes - death, resurrection, Jesus' attitude towards God and His ministry. All this in sharp contrast to what the Priest's of the temple thought the Messiah would do on earth - be a man, a king, and mighty military power. but love covers over all wrongs." A hateful spirit isn’t satisfied to forgive and forget; it insists on raking up old grudges and quarrels. A heart of love draws a curtain of secrecy over the faults and failures of others. These faults and failures must, of course, be confessed and forsaken, but love does not gossip about them or keep the pot boiling. Holding off on feeding five thousand until a later Gospel - but it is worthy to note that Jesus - the bread of life - could symbolically sustain the nation of Israel - through the grace and mercy of God the Father. Not just sustain, but overflowing in grace and mercy via the twelve leftover baskets. How were there hearts hardened???? Was it as simple as not tying together that the man who could feed five thousand from a few loaves could certainly have the ability to walk on water????? I saw the numbers before, but it never struck me to connect them to the leftover baskets. The woman of blood had the disease twelve years, Jarius' daughter was twelve, there were twelve disciples sent out two by two, and there were twelve baskets of leftover food. I believe God is a great one to give underlying clues as to what he is about. I think the number "twelve" in all these instances is to refer to the twelve tribes of Israel. I believe God is showing here that the Son of God had arrived and was there to heal (restore) the sick (in sin), raise the dead (provide a new life), and provide the "bread of eternal life" for the nation of Israel. Down to the big clue that there would be "twelve" apostles to carry out this mission after Christ left. 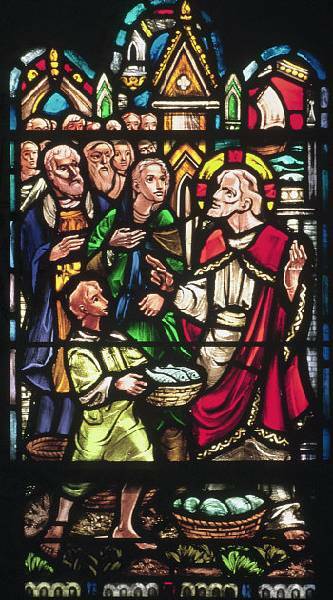 The apostles kept thinking - who is this man??? They had still not connected the dots. Oh, they probably knew He was from God, but I think here they are still not acknowledging deity. How was their heart(s) hardened? My speculation is that they thought they were following the Messiah - but their concept of the Messiah was a man who would be raised up by God to rule on King David's throne (and by the way throw out the hated Romans). They were probably thinking when the time is right - Jesus would take His rightful role. They were correct, but they misunderstood the role. With each passing act by Jesus - they had to keep asking themselves the question - Who is this man????? And with each sign and wonder Jesus is giving a clue. It will be a while before the disciples get it - and only then - when the Father removes the blinders and softens their heart so they can see the Truth that is Jesus Christ. Posts are a little light today, so I want to share with you something I posted last year. On almost every page of the Old Testament - God is pointing to and proclaiming Jesus Christ to the nation of Israel. This is what I think Jesus taught the disciples on the "Road to Emmaus". Had seen individual explanations of Old Testament books pointing to Christ, but first time I found it altogether. From sermon of Stephen Davey, First Colonial Baptist church.